GettyDonald Trump and Theresa May during the US president’s visit to Britain in July. Donald Trump and British Prime Minister Theresa May hosted a dinner with top business leaders when the US president visited the UK in July. According to one attendee, Brent Hoberman, Trump made weird remarks about guests’ pedigrees in a speech during the dinner. Hoberman spoke to Business Insider after being named in the UK Tech 100, a ranking of the 100 coolest people in the UK tech industry. 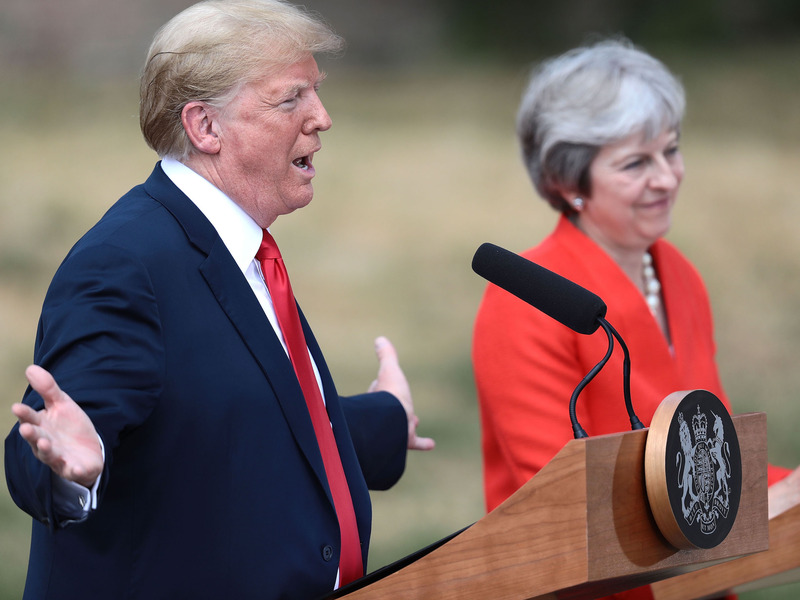 US President Donald Trump made some unusual remarks about top business leaders in a dinner speech during his trip to Britain in July, a tech investor who attended the gathering has told Business Insider. Trump’s travel schedule mostly avoided London, but included a formal black-tie dinner with around 150 business leaders, senior members of the government, and Prime Minister Theresa May. It took place on July 12 at Blenheim Palace, a 239-year-old country mansion in Oxfordshire and the birthplace of Winston Churchill. But Lane Fox’s Lastminute.com business partner and famed tech investor, Brent Hoberman, did decide to go. Hoberman, who now runs incubator and accelerator Founders Factory, told Business Insider during an interview that Trump made some peculiar remarks when he stood up and gave a speech. Trump committed a diplomatic faux pas during his visit by criticising the prime minister’s approach to Brexit in an interview with the British newspaper. He told The Sun that he had advised May on “how to do Brexit” but that “she didn’t listen to me.” He also said ex-foreign secretary Boris Johnson would make a “great prime minister.” He later appeared to walk back the remarks. “It was utterly bizarre, and I think I saw someone whispering in Theresa May’s ear,” said Hoberman, suggesting that this was the moment the British prime minister was made aware of Trump’s remarks in The Sun. According to Hoberman, Trump also joked about making UK Chancellor Philip Hammond “jealous” because “I spend all my time with Theresa May.” “He was trying … but he doesn’t come across as deeply analytical,” Hoberman said. A US official who also attended the dinner said it was clear the president was joking. The White House declined to comment. 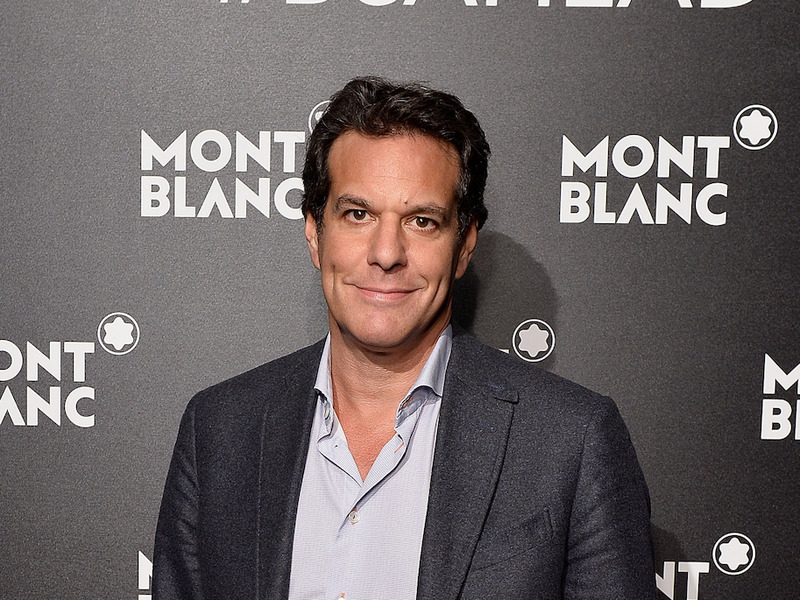 Hoberman said he had no regrets about attending the dinner. Part of the reason he went was not to meet Trump, but to meet the other guests, who included GlaxoSmithKline CEO Emma Walmsley, and BlackRock boss Larry Fink.